The wines of Joan Sardà aren’t often encountered outside of Spain. 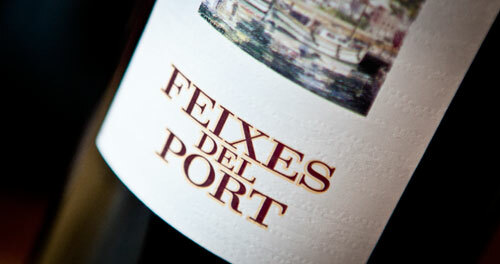 Although their Penedès region wines are easier to find, the ones from Cap de Creus are not. They’re definitely good wines, but the years can vary a great deal from one to another. Take for instance this 2005 vintage. As it’s often said, this was a good year. In fact, it puts the 2006 to shame. Don’t get me wrong, the 2006 is a pleasant wine, but it just doesn’t have the depth and the richness of the 2005. “Feixes del Port” by the way, means, “terraces of the port”, which if you’ve been to Cap de Creus, you would understand why, as they’re these steep terraces cut in to the mountains that plummet down in to the water. A blend of 85% Lledoner (a Catalan synonym for Garnatxa) and 15% Cabernet Sauvignon with 13.5% alcohol, the 2005 is a really wonderful bottle of wine. It doesn’t have the wealthy of dark cherry elements that you find in later vintages, but drifts more towards chocolate and a bit of brooding licorice. At times, it’s almost plush in the mouth. The finish is dry, but clean. If you can still find a bottle of the 2005, buy it and drink happily.